Kim Chiu and Xian Lim are back together on TV in the upcoming teleserye Love Thy Woman, starring with Erich Gonzales. 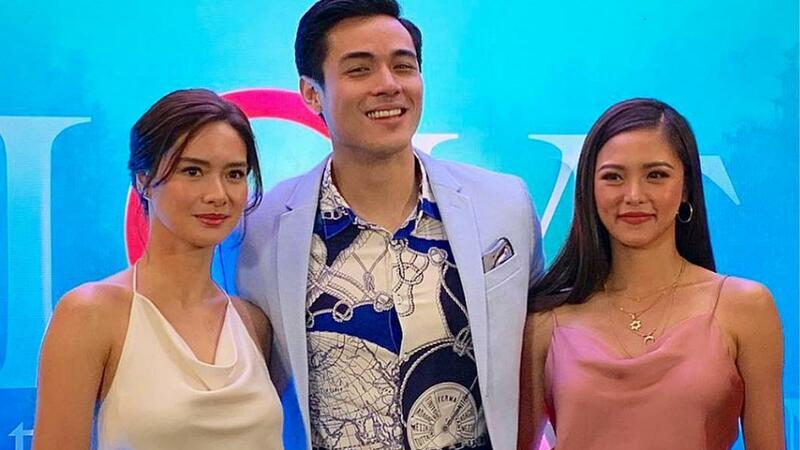 Kim and Erich play half-sisters, and Xian plays Erich’s fiancé in the beginning of the family drama. The show is full of reunions and comebacks, according to PEP.ph. It was 2016 when Kim and Xian last had a teleserye together, The Story Of Us. The real-life couple’s last project with Erich was 2011’s Minsan Lang Kita Iibigin, where they all had special participation roles. You’ll also recall that Kim and Erich were part of a love triangle with Gerald Anderson in Sana Maulit Muli in 2007. Also starring in the new series are Ruffa Gutierrez, Sunshine Cruz, Zsa Zsa Padilla, Eula Valdez, and Christopher De Leon.